You could have knocked me over with a feather when I found out this brilliant book is out of print. (published in 1980…It’s almost as old as me!) I must have made my family read it about a zillion times when I was little. It’s a very silly, sweet story about getting dirty, and getting clean. and clean on the other (see below). 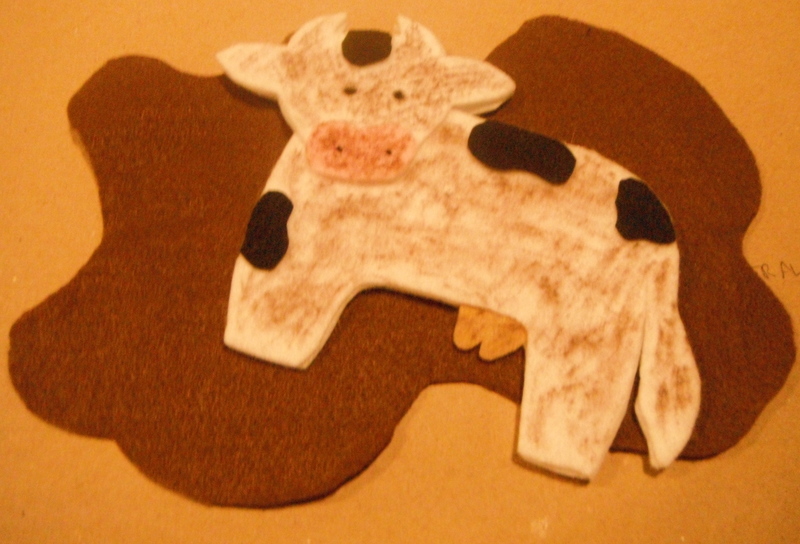 “Oh, lovely mud,” said the cow, and she jumped in it. 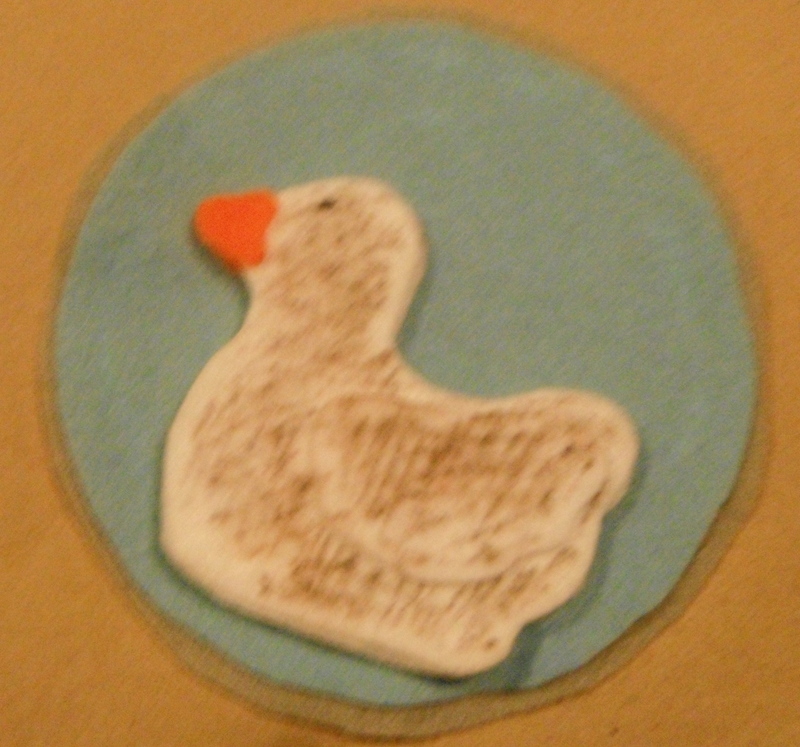 “Oh, lovely mud,” said duck, and she paddled in it. “Oh, lovely mud,” said pig, and he rolled in it. 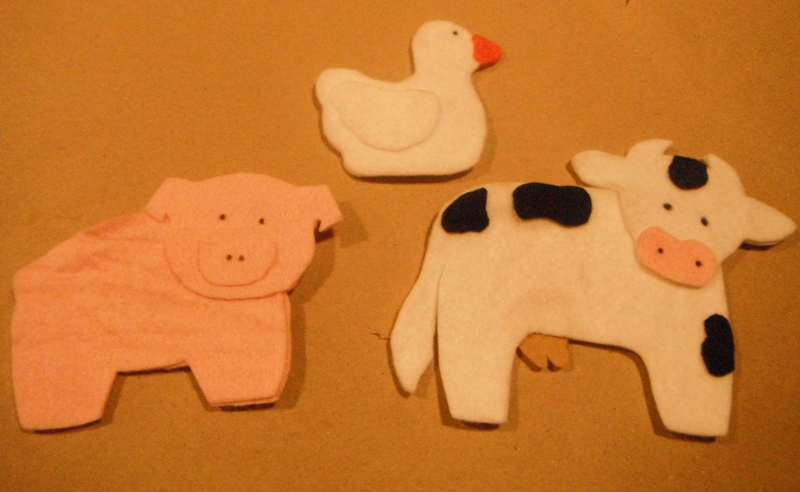 Watch out cow, duck and pig. She's gonna wish-wash you! “That’s better,” said Mrs. Wishy-Washy. And she went back into the house. All squishy squashy between your toes! Check out the Flannel Friday Round Up at Loons and Quines for more flannelizing fun! And if still haven’t had enough there’s always the #FF archive on pinterest. HOLY MOLY! Your mum and Joy Cowley are my heroes! I love everything about all the Mrs. Wishy-Washy books. The illustrations and stories are a perfect, timeless match! Whenever I use them in storytime, the kids go wild for them! Oh, and the last time used this flannelboard in storytime, I added a toothbrush to scrub the animals clean, and the kids went bananas. Please tell you mom thank you, thank you, thank you from a very admiring librarian. cheers! Before I even read your post, I was thinking this would be a great one where you flip the pieces over. Great post!!! 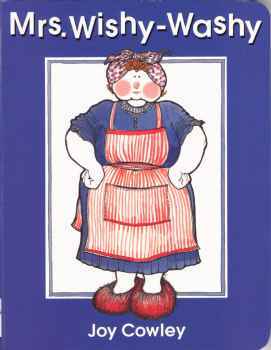 Did you see that Joy Cowley has a “Mrs Wishy Washy’s Farm” in print? I’ve had fun with it at storytime. I used to have a flannel for the story you have presented here, but I can’t find it 😦 I had a small galvanized tub that I had found somewhere to wash the animals. Shoot, I wish I could get my hands on that set! This is a cute one, Cate! I love Mrs. Wishy Washy. The kids love her too! I was going to do the makinglearningfun version, but yours is so cute. I think I will make this one instead. I like that the animals are dirty on one side and clean on the other. Thanks! 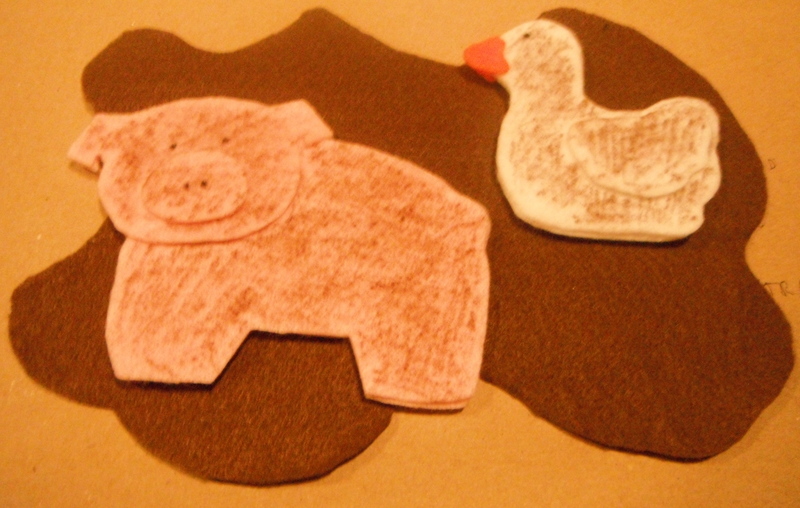 i used the MLF pattern, i just made 2 of each for the animals. oh, and the tub and the mud puddle. We have the big book for Mrs. Wishy Washy. So great. I never thought of putting it to flannel! oooo lucky. we have a tiny board book version in our outreach collection. it works in a pinch, but it’s not ideal. the pattern makes nice, big piece. 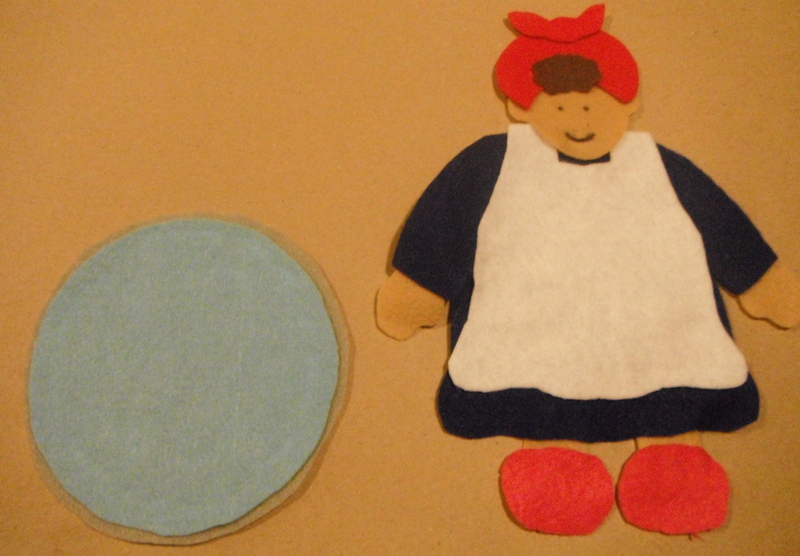 Mrs. Wishy Washy is about 6″ tall. Those are some of the cutest felt animals I’ve seen! 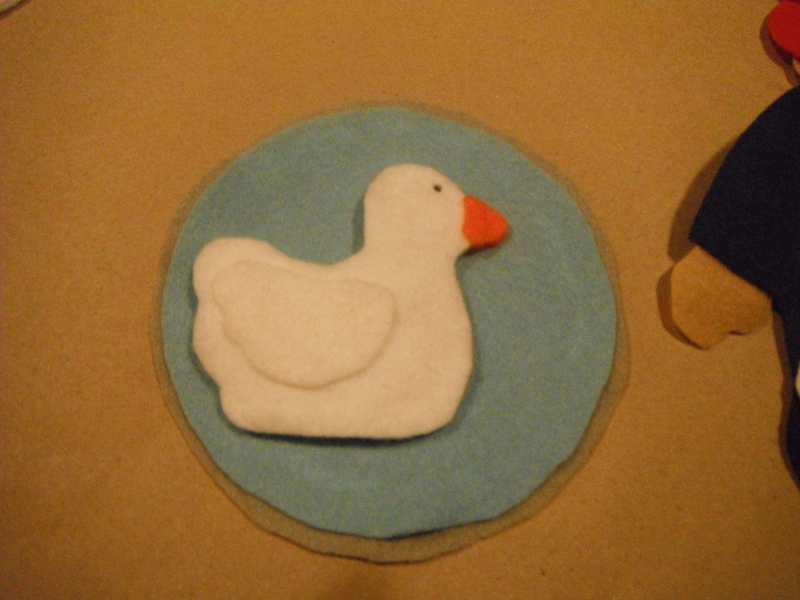 yeah, a lot of the makinglearningfun patterns are super cute and easy to make. You did a very endearing version! The kids must love to see the animals get muddy and then clean again. 🙂 I will definitely be making this for my storytime AND for our playtime. and i don’t think i mentioned in the post (in case it isn’t totally obvious) i just used a brown felt tip marker to make the critter look filthy.